See that little red thing in the bottom right corner? That’s our security; the internet equivalent of posting a big muscled bouncer outside your door. It’s a COMODO security certificate. It’s there to let you know we take your security seriously. If you’re going to use our program to manage your business (and business’ finances), you should feel safe doing that. In addition to our COMODO security, we’ve also got some HackerProof security, an encrypted network, and other safety measures that involve computer words and lingo that make very little sense to most of us humans. If you’d like to read more about COMODO, visit their site here. The lingo might be hard to understand, but we’ve got people that know what it means, and how to implement, which is good for you! 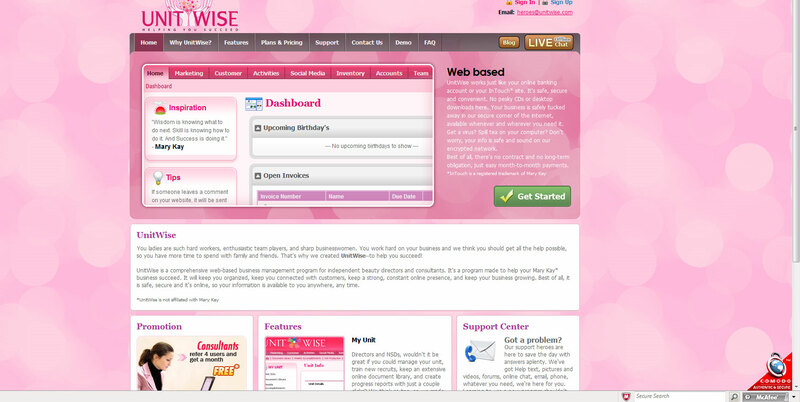 We’re taking every measure to make using UnitWise safe, secure, easy and dare I say…fun (business can be fun right? It should be). We’ve got just a few more days till the full release, so stay tuned for updates throughout the weekend. This entry was posted on January 28, 2010 at 11:49 pm and is filed under Update. You can follow any responses to this entry through the RSS 2.0 feed. You can leave a response, or trackback from your own site.